ArabSaga: Can Egypt harmonize the head and heart? Egypt's Muslim Brotherhood today rejected a timetable for new elections laid out by Interim President Adly Mansour, saying it is illegitimate. calling presidential elections once the new parliament convenes. We’re into the new nonsensical phase of “daily bloody struggle” in which the two sides trade charges of wrongdoing and the naked truth is lost as to who’s the killer, who was killed, what happened, in whose interest, at what cost and what aftereffects. Each party to this conflict is trying to portray the other party’s behavior and deeds as diabolic. Each side is now trying to convince public opinion at home and abroad that it is the aggrieved party and the other side is guilty beyond reasonable doubt. Such policies will lead nowhere. They won’t settle the conflict or spare blood. They won’t be conducive to serious and durable political compromise. With lack of rationalism in the political discourse, each side is trying to defeat the other and tarnish its public image. Much to the consternation of public opinion, the sides have given conflicting accounts of the violence opposite a Cairo barracks of the Republican Guard. That leaves Egypt stranded in a dark tunnel of absurdity and nihilism that can only lead to chaos and instability. We are now on the verge of emulating the Syria bloodletting scenario. Talk under a sitting interim president of a referendum on former President Mohamed Morsi’s year in office is passé. Egypt lost her political mind when she regained her revolutionary heart. The quintessence of our crisis is this paradox of having regained the heart and lost the mind. Are we for dialogue and political compromise or have we decided to fight it out on the streets and public squares? That’s the question we need to answer truthfully before God, the people and history. Our security and policies are in a state of flux and changing by the hour with each side trying to muster direct regional and international support for its policies and entitlement to rule and manage state affairs. Clearly, video scenes aired on satellite TV channels are key stimulants to the positions of outsiders. Between the statements of Vladimir Putin and Barack Obama, Rashid al-Ghannoushi and the Saudi Royal Court, and between Catherine Ashton and Ban Ki-moon, Egypt’s crisis, chaos and premeditated disorder are intensifying. 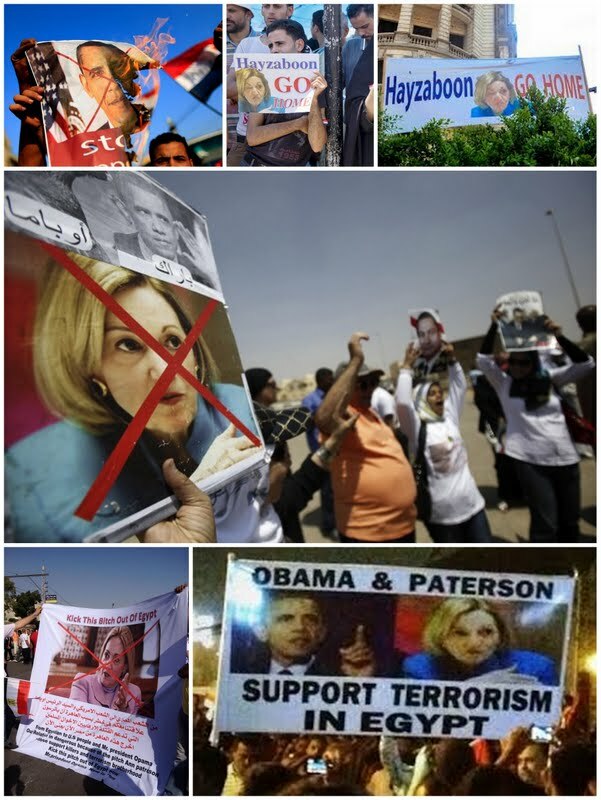 Speaking of Obama and Egypt, Rajeh el-Khoury, in his column today for Lebanon’s independent newspaper an-Nahar, gives thumbs up to Martin Indyk for differing with Anne Patterson, the U.S. ambassador in Cairo, and urging Washington to work with Egypt’s armed forces.